These Brides Wore Their Mom's Wedding Outfits On Their Big Day & Here's How You Can Too! 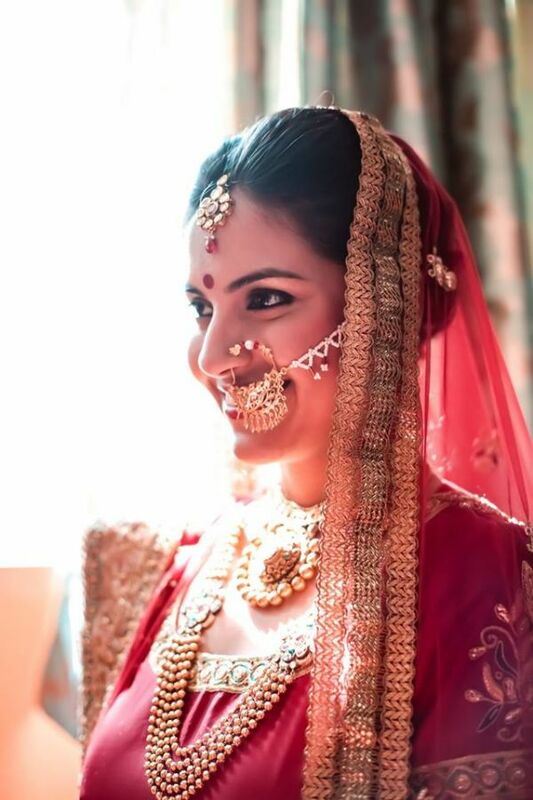 Vintage jewellery and heirloom outfits - two things that have the potential to make any bride look royal. Believe us, finding vintage jewellery and heirlooms is not a problem. Just hunt through your mom’s wardrobe and look for those precious wedding sarees and lehengas. With some slight tweaks and simple hacks, you can easily wear your mom’s wedding outfit on your big day. It’ll make you and your maa very, very happy! Whether your mom’s outfits are in perfectly wearable condition or not depends on the fabric. Silk and Banarasi silk can easily pass the test of time, but fabrics like tissue and chanderi can wear away with time. So, if there are signs of damage to the outfit, then there is nothing much you can do about it. If your mom’s outfit is beyond repair, then you can get some patches from her lehenga stitched onto a new fabric. That way, you will add a fresh touch to it and still be able to wear part of your mom’s prized possession on you big day. 3. Want a modern yet traditional look? Add some elements of your own! This bride tweaked her mom’s lehenga a bit by adding some sequins, a new dupatta (with the border from the old one) and little bit of flare to make it look new! If the outfit has become a bit dull over time and you want to pep it up a bit, then you can add a few quirky elements to it. Add a fresh border to the dupatta or lehenga and a few latkans for that extra effect. You can also get some sequins stitched onto the lehenga to add a little bling to it. Talk to a good designer about what could be the best way to go about it. Just make sure you don’t end up spoiling your mom’s lehenga by making too many unwanted changes. There may be times when the blouse wouldn’t fit you, or the dupatta isn’t in great condition, but the lehenga skirt is as good as new. In that case, you can just replace whatever is not wearable with something new. That way, you will be able to wear an heirloom lehenga with a modern twist. This gorgeous bride got a lehenga stitched for her mehendi function from one of her mom’s silk sarees. If your mom wore a saree for one of her wedding functions, then you can ask her for permission to get something new stitched out of it. Although chances are slim, there is no harm in asking, right? Also, you could always wear her saree with a twist on one of your wedding functions and wear your own lehenga during the main function. 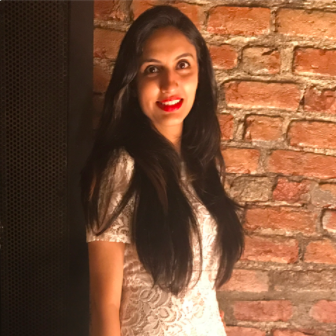 Pro Tip: Devika Narain, the celebrity wedding planner behind Virat and Anushka’s gorgeous Tuscany wedding recently got married. How to be a bride? Wear your mom's wedding lehenga, your grandmoms earrings, your great grandmom's choker and pray you look half as beautiful as them! Thank you @shivalichopra for making me look like the calm bride I wasn't :) and @josephradhik for being by my side. Maathapatti borrowed from the lovely people at @raabelstatementsilver. Outfit and genes courtesy @pritinarain. Special thanks to @edwardmakeupartist, for being the only person who could make me sit still for two hours. 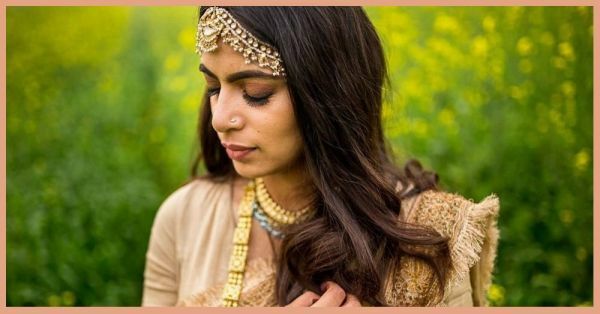 She wore her mom’s wedding lehenga on her big day with just a few tweaks. She opted for a new blouse that was dyed in the same colour and her aunt stitched the border on the dupatta by hand. Her husband, international wedding photographer Joseph Radhik, gave her his grandmother’s ring on the engagement and she wore her mom’s heirloom jewellery on her wedding day. She is a perfect example of how, with a few smart hacks, you can totally pull off a subtle yet royal look, with an heirloom lehenga. P.S. If you have already bought your wedding lehenga, but still want to use your mom’s outfit in some way, then you can always wear it at another function like the sangeet or reception. Trust us, your mom will be equally happy.